The Purple Agency: Nominated in 10 Categories at the RAR Awards! Nominated in 10 Categories at the RAR Awards! 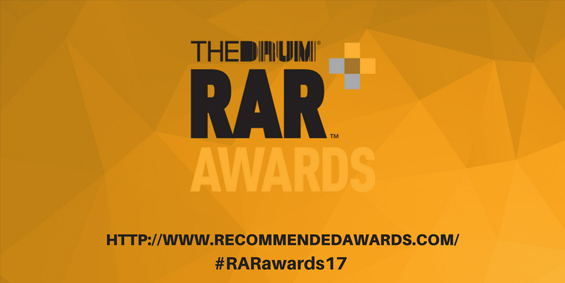 We’re thrilled to announce that Purple have been nominated for 10 Awards at the Recommended Agency Register Awards 2017! The RAR Awards are always a highlight for us, where some of the best marketing minds in the UK come together to celebrate the campaigns, creativity and client service teams of the past year. Purple have picked up multiple RAR awards over the past few years, including: Best On-Time Agency 2016 and Best Corporate Communication Agency 2015. The RAR awards are particularly important as the nominations are based solely on client reviews and ratings’, so winning is a fantastic endorsement for our services. We’d like to thank all of our clients who rated us. We’re looking forward to the awards ceremony on the 26th April and thanks to you we’ll hopefully be bringing home an award – we’ll keep you posted!